Question 1：When shall the units make purchase requisitions? Each unit with the following conditions shall make purchase requisitions in accordance with the "Shu-de University Procurement Management Measures" (April 18, 2004 edition). (I) The source of procurement budgets are government subsidies and as well as capital expenditure, regardless of the cost. (II) Non-consumable items which are over NT $ 2,000 but under NT $ 10,000, such as fax machines and portable external hard drive. (VI) Purchase requisitions are NT $ 20,000 and under, and only if payments will be made by the unified expenditure. 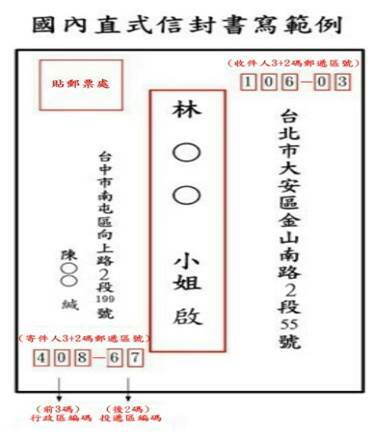 (V) Purchase requisitions are NT $ 10,000 and over, such as desk tops, air conditioners, apparatus, machinery, etc. (VI) Any books and audio and video equipments, regardless of the cost. Q1: How to apply for repair? Please cherish all the facilities in school! If you find any problems, please surf on the school website and log in your account. And enter the「General information management」→ click「Call for repair」→「log in」→click「apply for repair」. After you filled in the form completely including the locations and situations, click the「confirm button」. If we don't encounter any emergency, your facilities will be repaired in 7 days. Q2: How can I apply for viewing building plans of school? 1. Procedure- Applicant could ask for form from office or download the form on the website by yourself →Confirmed by supervisor and professor → Return the form to Construction and maintenance section to let Chief confirm and you will get back your application→ We will notice you paying the fee before you get the building plans. (3) If you want to get more information or electronic record, you need the agreement of president. (4) Others would depend on the circumstances to make rules. (2) Please go to cashier section to pay the fee first and take the receipt to Construction and maintenance section to get your item. If you violate any items of application, you will get punishment including your supervisor. Q3: How can I apply for lights, socket and air-conditioner? Please go to Construction and maintenance section to get the application form (2 pieces). If you need outsourcing manufacturer, please give clear indication of time, situation and what’s type of electricity. We only offer electricity service. Safety and clean are not included. Q4: Why do not we have air-conditioner in class? 1. Our school emphasizes on saving energy to avoid waste and save money. (1) Temperature is not over 26 degree Celsius; you will not turn on the air-conditioner except some special classroom. Special classroom (Ex: Studio classroom) ---It must file an application. For research laboratory, the air-conditioner will turn off at every hour during 10p.m to 2 a.m. and not to use during 2a.m to 8 a.m. Please turn off the air-conditioner half an hour in advance. (For Administration Building)The air-conditioner is not working from 10:00p.m to 8:00 a.m. Please turn on the fan when you use the air-conditioner. Huge indoor activities or performance like L0105,D0105 and T208, we will turn on the air-conditioner for you an hour in advance. But rehearsal is not included. Q1: How to apply Parking License for car and mobile? Only applying online. The Date of application depends on website of school. Please come to the Office of General Affairs, we will assist you. Q2:How to borrow equipment if I want to hold a activity? Please come to the Office of General Affairs Division. Q3:How Firms off-campus apply for renting places or selling products? To avoid disputes of transaction, firms should submit application to Office of General Affairs Division. After paying fees at Office of Cashier Division(a booth $500 NTD/ a day), please send the application back to Office of General Affairs Division, we will finish formalities. Q4:What should I do when my car/scooter be locked? Please come to Office of General Affairs Division and writing application for withdrawing back it, and pay the violation-processing fee. After paying the violation-processing fee, please come to guardhouse near the gate of school and pick/unlock your car/scooter. Q5:Do school busses serve on Saturday or Sunday? How Continuing-Education-Program students get to STU? School busses only serve from Monday to Friday. Continuing-Education-Program student can take MRT to Kaohsiung THSR station, and turn to Bus platform 5, taking Bus of line E03 or E04. Any questions please call the Office of General Affairs Division, thanks. Q6:Office of General Affairs’s keeping-business and opening times? The keeping-business is about renting place, classroom keys, remote control, normal equipment. Q7:Which classrooms and places are kept by General Affairs Division? Library Building: LB103, LB104, LB105, LB106, L0105, 1F indoor&outdoor square, sector plaza. Design Building:DB131, DB134, DB136, DB139, D0105, 1F marble square & outdoor plaza. Q8:How to borrow a place? The access is online only. You can login “Information Integration System”and fill in “non-class place borrowing& electric demanding of activity application”, after process pass, everything would be fine. Q9:How many limit of persons in the place? What is forbidden? At least two-thirds of the number of persons in the place allowed to be borrowed. And all food is forbidden, the place should be clean. Q10:How to borrow audiovisual equipment? These equipment is for lecture classrooms, including keys, projectors, DVD remote controls, microphones, transmission lines,etc. Students who want to borrow should come to office and fill in “Borrowing Registration Form”, then leaving student cards, ID cards, driver’s license. Teachers and employees should cover a seal after fill in the BRF. Everything you borrow should return before the office is off duty. Q11:What should I do if equipment lost? Must pay compensation. $100 NTD for a key. Other equipment should do more discuss. Please tell department assistant or teacher, then call Construction & Maintenance, they will help setting the AC. Q&A 1: Drinking water contain white mist sometimes, occasionally small stones. Is it something wrong with drinking water? 1. Drinking water are purified by advanced RO filtration and reverse osmosis technologies. Besides regular maintain by the maintenance company, water quality also inspect periodically according to laws and regulations to make sure water quality standard. 2. Drinking water white mist is micro-bubbles; small stone is broken activated carbon, not real small stones. Drinking water meet the water quality standard. Q&A 2: Drinking water is really a problem, I can not drink, can I apple for repair it? If you find any problems, please log in the school website ask for repair. Moreover,If you concern about the drinking water, please keep the water sample in clean container (not in residual taste the beverage cans installed) and send to Environmental Safety Division in the shortest time. If necessary, Environmental Safety Division will sent the water sample to the inspection unit request inspect, to maintain drinking water safety and health for student and faculty. Question 1, where to get mail? You can go to the Documentation Division of General Affairs to get mail. The office is on the basement first floor of the Administration Building, which is next to the Department of Performing Arts. Question 2, How to check school’s mails? We will announce the list of registered mail for staff members and students by 2:00 pm each day. 3. The Email of Teachers’ notification - Registered mail is sent to staff every day. 4. Student’s E-mail - Send a unified message to the school student e-mail every day, please search for information and list and also download the list of registered mail. 1. Staff - Distribute in the official mail in service of all staff. 2. Student - the mail which have indicated dorm number or department will sent to dorm mail box or department. The mail which have NOT indicated, please go to Documentation Division of General Affairs and get the mail. 3. Others - If you are assistant、company representative or not Shu-Te staff ,please fill in the department in detail. Question 3, How to deal with expired mails? 1. We will announce on the website. Please receive your registered mail within two weeks. 2. Expired mails will be posted for one week on the list after the deadline. The expired mails will be sent back to Carrier or post office. Question 4, Could help others to receive the mail? Yes, you need to prepare both id card (with picture) and confirm the information detail is correct. Question 5, What can I do in the postal office of school? 1. Letter, Prompt Delivery Mail, Registered Mail, Prompt Registered Mail, Registered Parcel, Airmail, registered Airmail, International EMS, International Parcels, etc. (no Domestic Speed post ). 2. Purchase envelopes, stamps, cash bags, convenience bags and convenience boxes. 3. Deal with the collection of packages (If you need to this service, please go to register and pay the money in advance.) No frozen parcels. Question 6, what is the time for school postal service? 1. 8:00 to 12:00 and 13:00 to 17:00 on Weekdays (except holidays and national holidays). 2. The service hours of cold and summer holidays will be announced separately. Sent mail with the school address, keep in please sign sender's name, telephone number and department, so that the letter can be quickly announced the return of the letter. 1. Receivers' name is in the middle of envelops. The address will be the right side. Zip code numbers will be separately placed in the three red boxes, where on the upper right side. 2. Senders' address and name are on lower left side. Zip code is separately placed in the lower left side's boxes. Stamp is on the upper left side. 1. Receiver's address and name are in the middle of envelope and slightly on the right. Sender's address and name are on the back of envelope. Zip code is on the top of first address line and stamp is on the upper right side. 1. Receiver's address, name and zip code are in the middle of envelope and slightly on the right side. Sender's name, address and Zip code are on the upper left side and on the back of envelope. money special-purpose account basic document table】? the start of the course。(Administration Building, 1st Floor). with print allocated about 5 working days. And accommodation fee ? How to refund? group Published time Receive a check. "Dormitory Network System" to Can be normal use. log in "Dormitory Network System" to Can be normal use. residential service group (Wen Hui Hall B1) for the termination of matters. go Where to pay Payment ? machine Payment Storage points (Rate: 3 yuan / degrees). First dormitory Place of payment：dormitory 1st floor payment machine. Question 7：Schools can handle First Commercial Bank Open an account ? What are the restrictions ? What documents are required to carry ? Department cashier Division , On-site contact with the First Bank Members for. Question 8：School Where are the ATM (passbook machines) ? ones fees ? Can Input Which Currency ? bar code) 、Violation car unlock fee、Violation locomotive move fee.